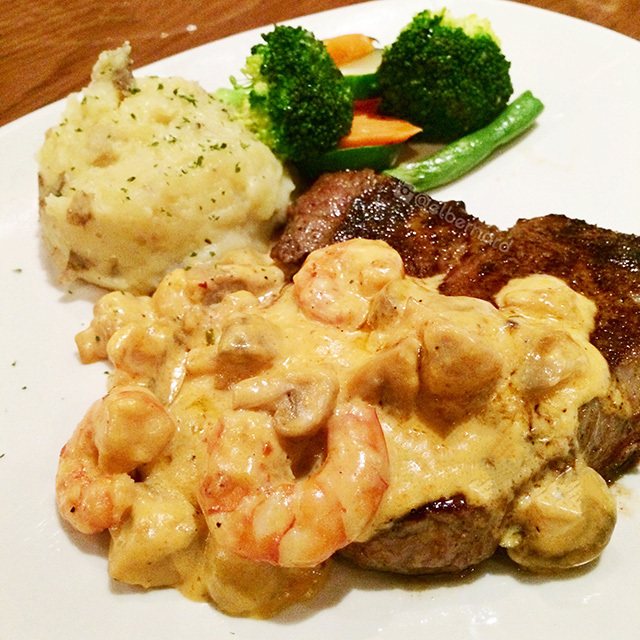 Loved everything about it: medium-cooked steak covered with shrimps, mushrooms, and tomato sauce, then paired with steamed veggies and superb garlic mashed potatoes that make you crave for more. Well done! Clean, relaxing. Can chill-out or catch up with friends comfortably here. Wonderful selections. Good flavors. I highly recommend their steaks.